On 15 August, Taner Kilic — the Honorary Chair of Amnesty International Turkey — was released from prison. Taner was thrown into prison on 9 June 2017 on the absurd charge of being a member of an “armed terrorist organisation”. 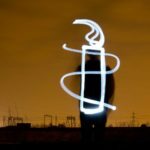 İdil Eser,the Director of Amnesty Turkey, was detained one month later alongside and nine others while attending a routine workshop for human rights activists in Istanbul. The 10 became known as the ‘Istanbul 10’, and they were also charged with “membership of a terrorist organisation”. Following a global outcry, Idil and the Istanbul 10 were released in October 2017. Taner however remained in prison, alleged to have downloaded the messaging application ByLock, a messaging application the authorities say was used by those responsible for the July 2016 coup attempt in Turkey. Two independent forensic analyses of Taner’s phone found no trace of ByLock ever having been downloaded, which was confirmed by a police report released on 5 June 2018. Taner was granted conditional release by a court on 31 January 2018 however, just as his family waited for him to walk out of jail, he was re-arrested. His wife and daughters never got the chance to welcome him home. Now, nearly 8 months after, Taner is finally free and back in the arms of his wife and daughters. A ‘state of emergency’, which set a backdrop for violations of human rights, was implemented in Turkey following the attempted coup in 2016. Under the state of emergency, dissent has been ruthlessly suppressed, with journalists, political activists and human rights defenders among those targeted. Since July 2016, over 150,000 people have been placed under criminal investigation in an attempt to silence critical voices. The imprisonment of the Istanbul 10 and Taner Kilic were part of a series of politically motivated prosecutions to silence criticism. The state of emergency was ended in July 2018. Amnesty supporters started campaigning for Taner’s release immediately after his arrest. For the next 14 months, staff and activists all around the world pressured the Turkish government to release Taner. More than a million people from 194 countries demanded Taner’s freedom, including 20,000 Australians. In June 2018, Amnesty International Australia activists in Perth, Adelaide, and Melbourne held stunts to mark 365 days of Taner’s imprisonment. Activists from Wollongong to Townsville came together to call for Taner’s release, and artists in Hobart installed a mural in support of Taner. Taner and the Istanbul 10 are still charged with “being a member of an armed terrorist organisation”. If convicted, they could face 15 years in prison. The prosecution has failed to provide any evidence to prove their claim. The Turkish authorities must drop the charges against them.